Venice is a perfect long-weekend stop over. Our first day, we spent seeing the usual sights. 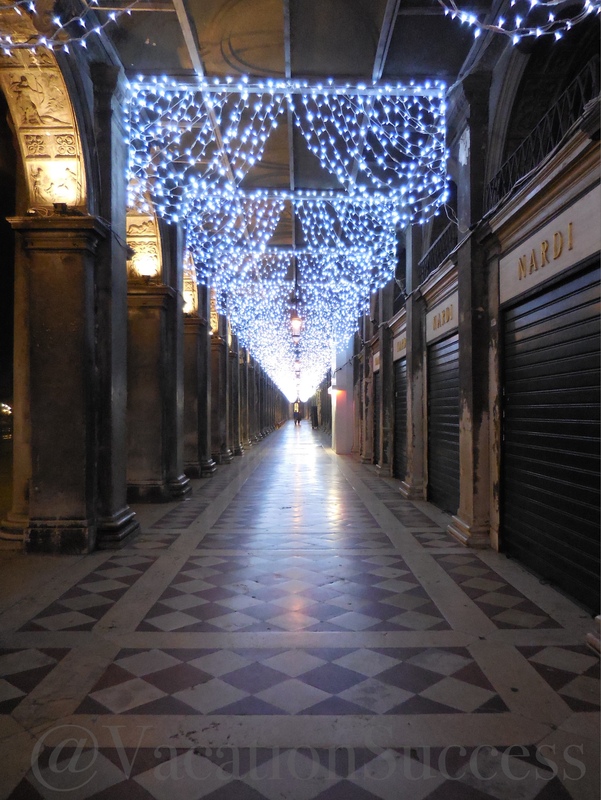 Here is our post that includes Piazza San Marco, Doge’s Palace and the Basilica. Our second full day in Venice was an exploration of the southern neighborhoods in Venice, the Dorsoduro district. We crossed the Grand Canal at the Accademia bridge, wondering toward The Peggy Guggenheim Collection. Seeing her home, learning her story, and seeing her art collection seemed odd, set against the Grand Canal, overlooking giant colorful palazzos built by capitalistic, merchants. I realize the Guggenheim’s were just that, powerful, capitalistic merchants. But, Peggy Guggenheim wasn’t. She was eccentric, and colorful, but charitable. Not driven, in the same way, as the merchants of Venice. And her home isn’t like those around it either. Its not opulent, or over the top. Quite the opposite, just like the art she collected, it is modern through and through. We spent much of our day walking the city. We found fisherman on strike, all the boats were in the harbor with protest signs hung from their bows. We went in and out of the shops along the Rialto Strauss. Crossing back over the Grand Canal at the Rialto bridge, we found dinner is this funky restaurant right at the Rialto Market. Ancora, San Polo 120. We had the most wonderful waiter. He was interested that we were interested in the cuisine, and so he shared all he knew. We ordered beef carpaccio, served over Venetian gown artichokes. He shared that Venice is the coolest region in Italy, and their artichokes grow smaller and paler than those in Sardegna and Toscana. The artichokes were thinly sliced, laid over olive oil, with the thin sliced beef layered on top. The combination of the three was sweet, salty, crunchy and smooth all at the same time. The meal kept getting better with the next course. We ordered meat lasagna and orata al forno (sea bass). The fish was deliciously fresh. The lasagna was surprisingly creamy. Our waiter shared that is was made with besciamella cheese, mixed with milk and a bit of flour, almost like rue, instead of with ricotta cheese. The besciamella cheese version of lasagna is traditional to Northern Italy. I’m planning to order the spritzer mix and making a creamy lasagna for the family this winter. I found a place to order both. Comment below and I’ll happily share where I found them here in the states.